The small Pacific Island state of Vanuatu, with a population of just 250,000, rarely makes the front pages of international media. The 80 islands which make up the country are primarily known for their stunning natural beauty, the presence of so-called “cargo cults” and, more tragically, the devastation wrought by cyclone Pam earlier this year. However, according to Vanuatu’s English daily newspaper, the Vanuatu Daily Post, a bizarre political drama has been unfolding in Port-Vila during the last couple of days. On Friday October 9th, 14 government ministers and lawmakers were found guilty on charges of corruption by the country’s Supreme Court. This number represents almost one-third of Vanuatu’s parliament, who were all facing prison sentences of up to 10 years. Furthermore, among the convicted were Parliament Speaker Marcellino Pipite and Deputy Prime Minister Moana Carcasses Kalosil. According to the Vanuatu Daily News Digest, the convicted were due to be sentenced on October 22. According to Vanuatu’s constitution, the speaker of parliament assumes all presidential powers and duties while the president is abroad, including the ability to pardon anyone convicted of a crime. Vanuatu President Baldwin Lonsdale was on a state visit to neighboring Samoa until yesterday. In a display of political brazenness, if not subtlety, that Frank Underwood would be proud of, Pipite promptly pardoned himself and all of the 13 other convicted lawmakers in the last hour of before the president’s return. This was done, according to Pipite, in order to “preserve the peace and unity of Vanuatu,” pointing to recent political unrest in nearby Fiji, Papua New Guinea, and Solomon Islands. If peace and stability were Pipite’s intentions behind his own pardon, he seriously misjudged Vanuatu’s population. This move has angered many people in Vanuatu, who had turned out in large numbers to hear the Supreme Court verdicts. Many hoped the verdicts would mark an end to the corruption which has plagued the country’s political system. It’s not surprising that Vanuatu’s citizens are fed up. The country has experienced political unrest, coups and squabbles with its neighbors, especially Fiji, since gaining independence in 1980. Politics in Port-Vila have been plagued by clientilism, often divided down linguistic lines (Vanuatu is trilingual; French, English and a type of Creole known as Bislama are the official languages.) In fact, the details of the court case against the 14 lawmakers stated that the main charge was bribery and attempted bribery of Vanuatu MPs. 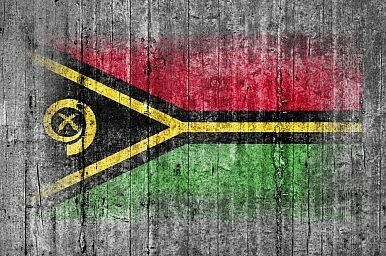 Bad things seem to happen to Vanuatu when the president goes abroad. In 2010, sitting Prime Minister Edward Natapei was toppled by a no-confidence vote by his own cabinet while attending a meeting on climate change in Mexico. According to The Economist, the motion that brought down Natapei was the seventh such petition that he had faced in two years. He was not an especially unpopular leader, but faced an extraordinarily opportunistic opposition. Furthermore, Lonsdale happened to be in Japan on a state visit when cyclone Pam struck Vanuatu. Although the storm inflicted fewer casualties than expected, there have been allegations of government incompetence plaguing the rebuilding effort.